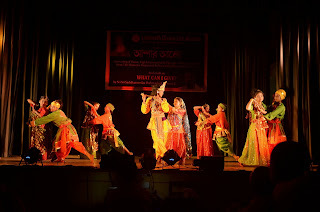 I have been on a marathon tour, my 23rd Annual Global Tour, touching so many hearts around the world. Life indeed is such a celebration when you have the opportunity to share the gifts that you have and see the joy in others. My first stop was Chicago, USA and then we were off to Mexico for four days of hectic tour. The highlight was the talk at the Monterrey Tech as honored guest speaker for their 70th Anniversary Celebration in a beautiful outdoor auditorium. It was a great blessing for the students and faculties. 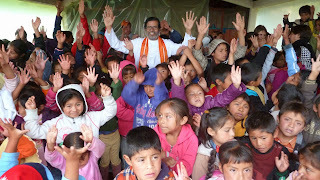 The rest of the time I was busy visiting and sharing at different villages and also gatherings in different cities of Mexico. 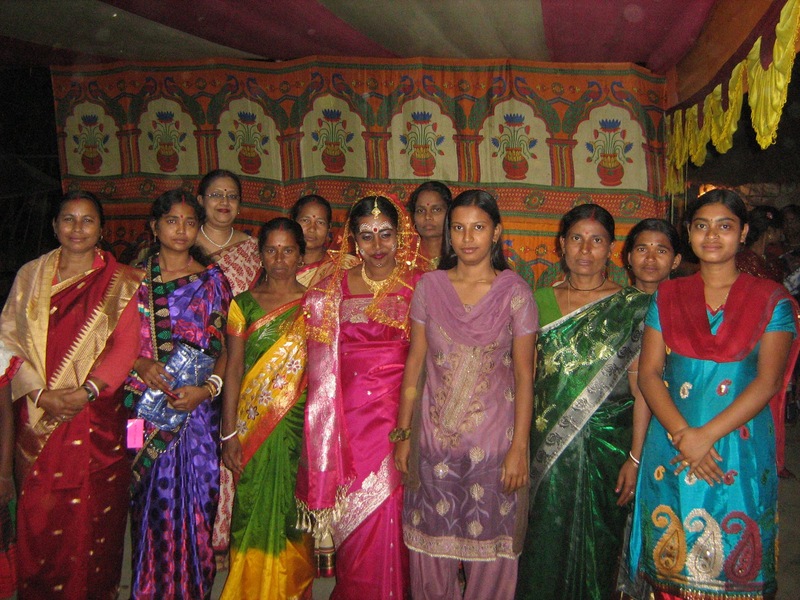 inspiring them to stay in school, and success is theirs! In Costa Rica I was blessed to see the living Volcano Pousa in the morning about 25 km from San Jose, Costa Rica, at an altitude of 2540 meters. I just can't explain in words the miracle that happened there!! It was all covered with fog and clouds, people wait for hours, but i just looked up to the Mother and said, Oh! Mother! Lift the veil for your child waits to see your vibrant form in the living Volcano! Lo! In a couple of minutes the cloud started to clear off, and it was the most awesome experience to see such a huge crater and rising steam from the mouth of the volcano!! Baba watches in awe at the live volcano! After that in the evening I had a very vibrant interaction with the students and faculties of the National University of Costa Rica, Believe me, Costa Rica is just an amazing country in the world. 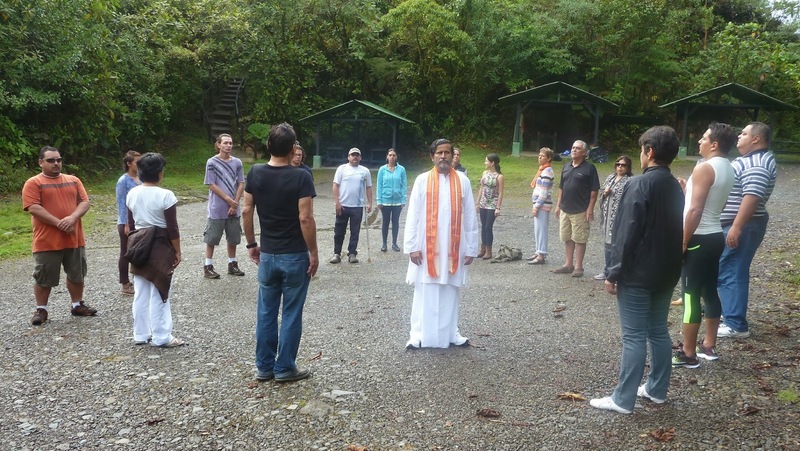 The spiritual vibration is so strong due to Mother Earth's vibrant presence there!! 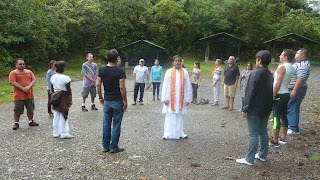 A group of students and seekers accompanied me to Tapanti, the most fascinating rain forest, with a waterfall that soothes your heart, and the kind of vegetation that I have never seen in my life. 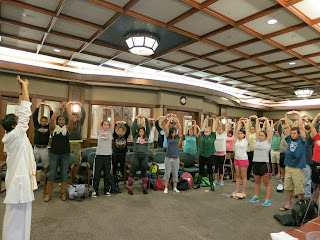 We had a retreat practicing Yoga and Mindfulness, Meditation and Pranayama. Oh! What a healing experience. 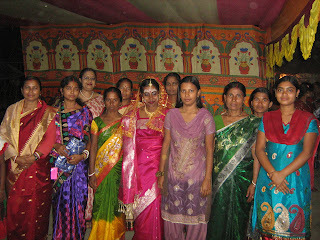 When we were leaving the place many came to me to personally thank me and say that their life is now changed forever!! Nature heals. Meditation takes you to your inner pristine nature and as your mind calms down, you become natural and enjoy the delight of the Soul. 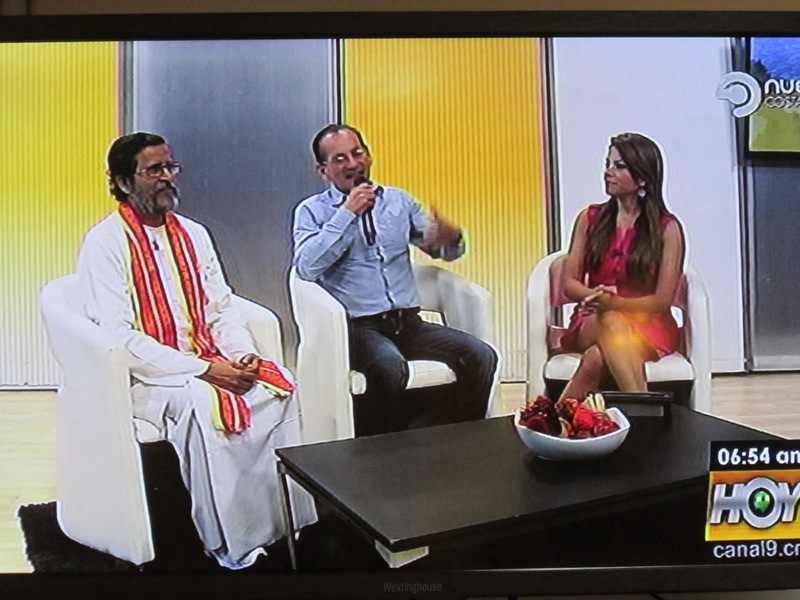 On the way to the airport in Costa Rica I was blessed to be able to speak for about 10 minutes on Channel 9 National News Morning Show about Stress Management and how we all need to relax, watch our breath and be human Beings, and not just human doings. I then returned to Chicago, and did a Talk at Yoga Rhythms on my new e-book, Cleaning the Mirror of Mind, Clutter Free Home, Clutter Free Mind. Had a wonderful trip to Madison, WI, and a grand opportunity to present at the University of Wisconsin, the Premier Institution of Research on Mindfulness. 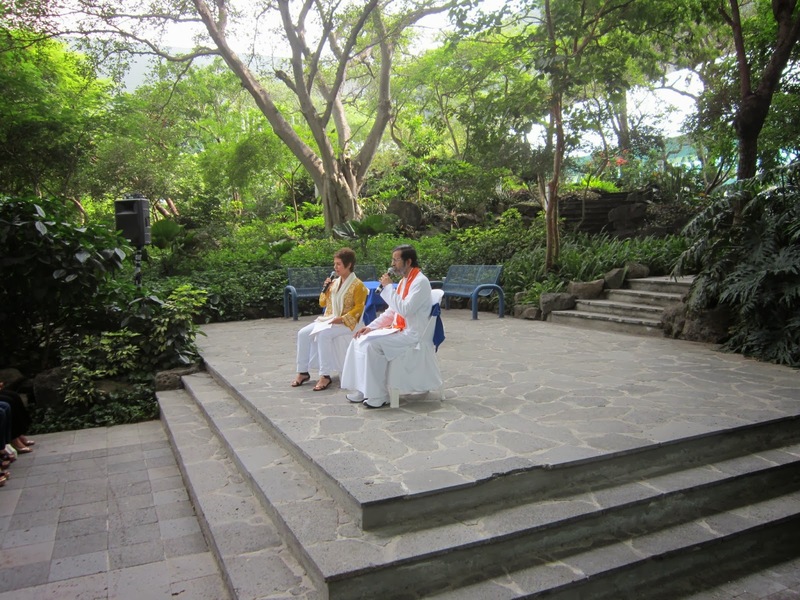 The talk was on "Mindfulness and Meditation". At the time of meditation there was nothing but stillness as if time stopped for every one! 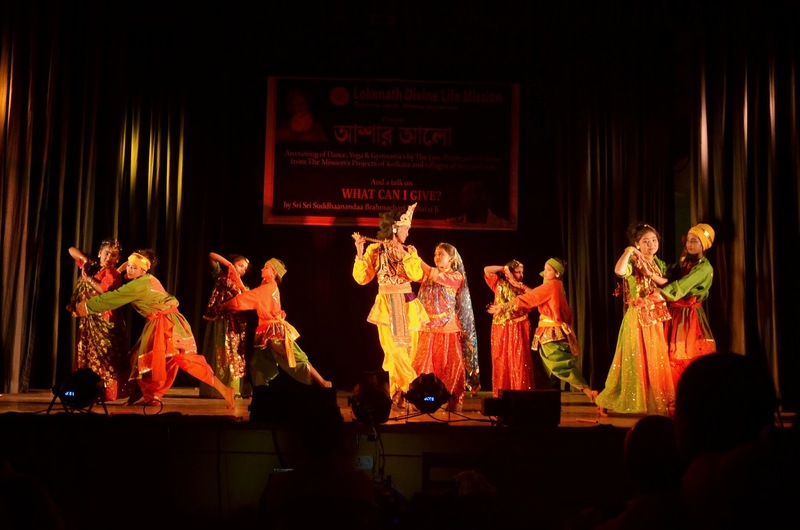 The responses from the participants were touching, for they said, it gave them the deepest experience of their inner life. 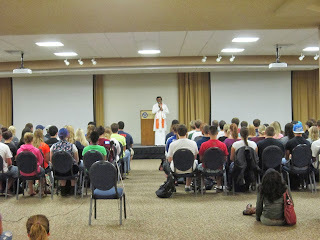 Baba leading students in Meditation at University of Wisconsin. Oh! What a joy to share the delight of your heart when your heart is singing the praise of the Divine that is within and without. 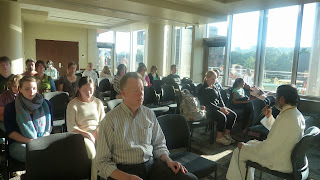 In Chicago had the most profound Satsangs with true seekers of inner Light, and feel that our hearts and souls rejoice most when we are connected to eternal Source. I feel increasingly the hunger in the souls of many, many people around the world to reach to that calm state within which is the Home and ground of our eternal Joy. 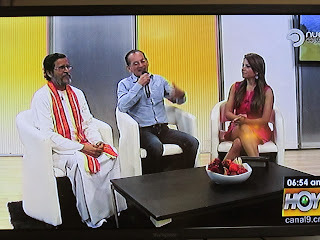 This visit to US, Mexico, Costa Rica was indeed very significant for I had the golden opportunity to interact with global youth communities in the best of Universities of each country. 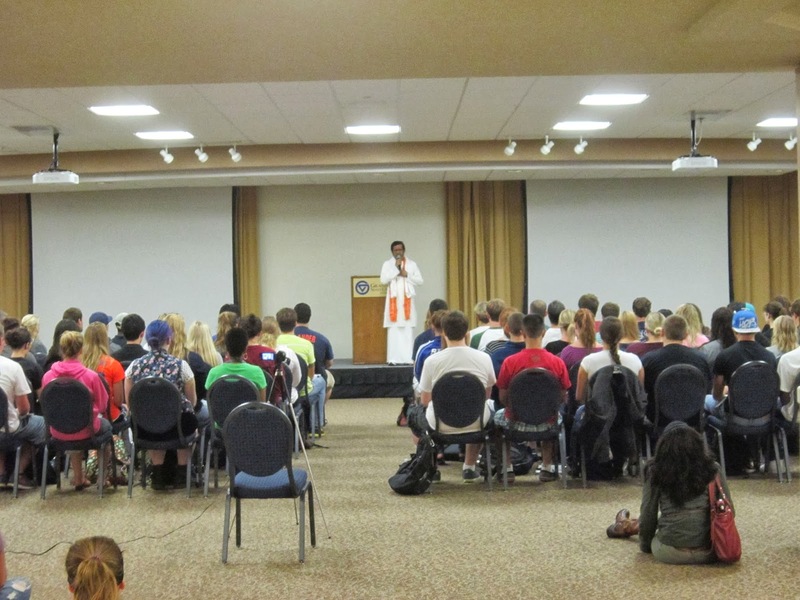 The last two days was busy lecturing at the Notre Dame and also Grand Valley State University in Grand Rapids. MI. The students all over the world are so much stressed and most often not connected to their inner Self and I saw how they were soaking the Divine vibrations when I took them through guided meditation. They need to be reminded of their breath, of their right brain that needs their attention! Yes, that is what I do, remind them of the simple things that they have yet are forgetful as much as the rest of humanity. What a joy to be an instrument of the Divine and serve humanity!! 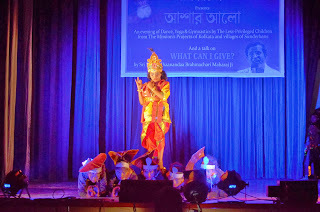 Now I am back to India with such deep sense of gratitude for all of those who helped me to reach out and touch the hearts of so many souls, as I hope, as a humble instrument of the Divine, to reach out to all of you again soon! 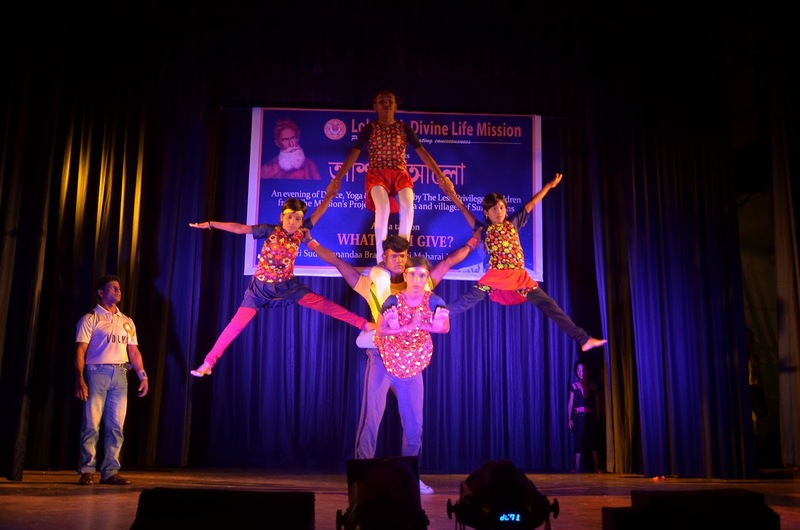 Lokenath Divine Life Mission presented 'Ashar Aalo', an evening of dance, yoga and gymnastics at Triguna Sen ausitorium of Jadavpur University of April 28, 2013. 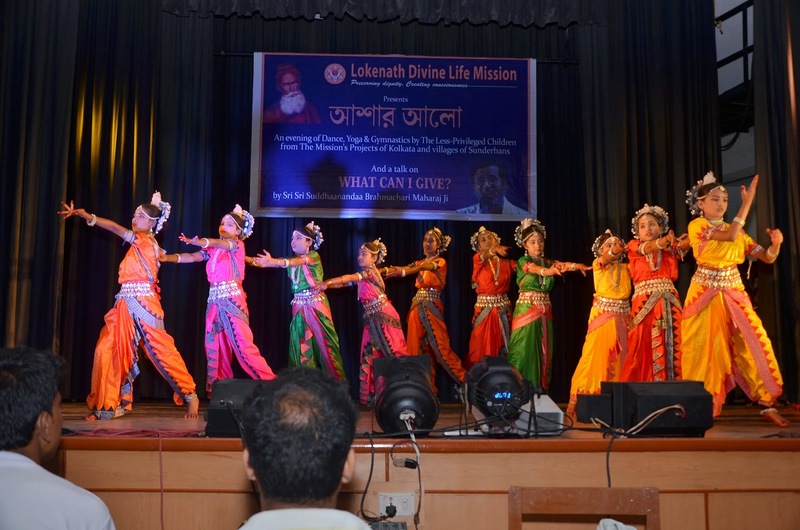 The participants, all less privileged children of the streets and slums of Kolkata and the remote villages of the Sunderbans, made it a grand success. 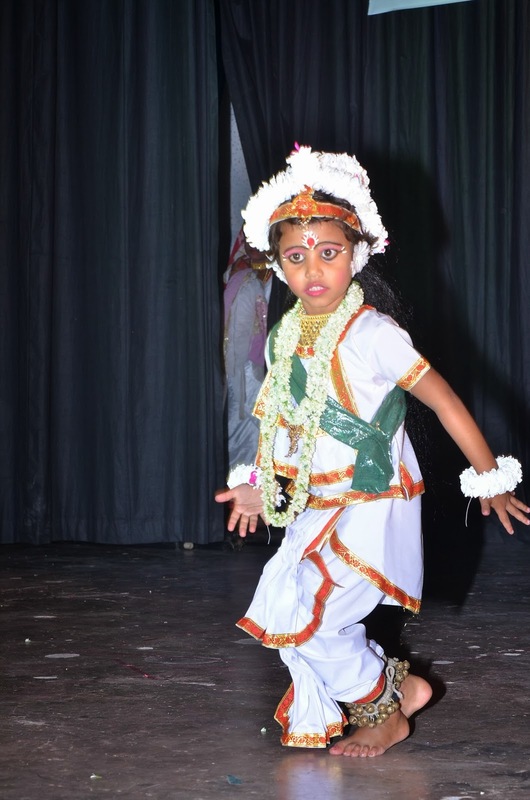 The dance dramas 'Mahishashus Mardini' and 'Krishno Leela' were absolutely brilliant, followed by a mesmerizing performance by a four-year-old Sunderbans girl. 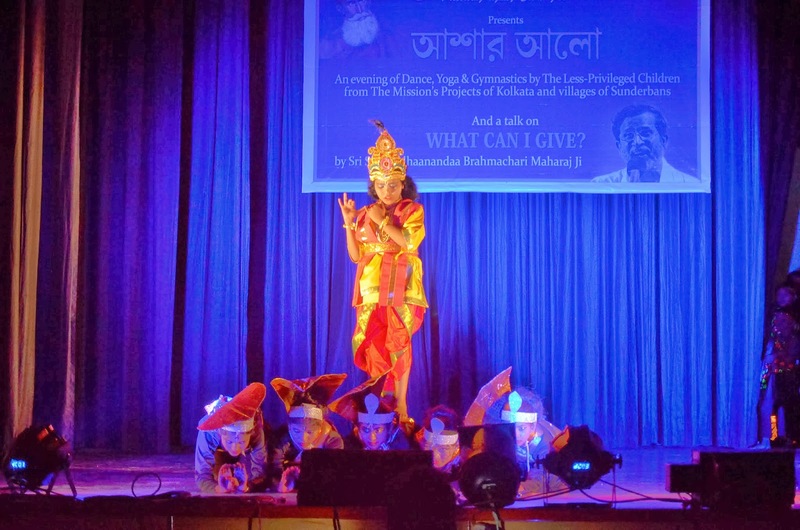 A documentary titled "The International Man of Peace" was shown, which featured the founder, president of the mission, Baba Shuddhaanandaa Brahmachari. (from the Indian Times). Girl balances of 12 bottles and 3 boards! 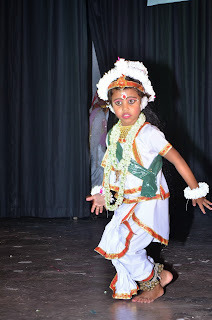 4 year old girl from Sunderban's dancing!